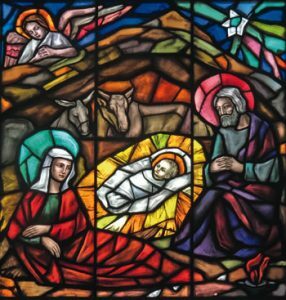 These three windows in St Benedict’s Church, Newton, Auckland, tell the nativity sequence beautifully. 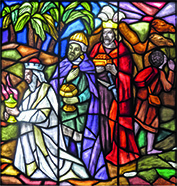 The birth of Jesus in the stable, the angels pointing the way so the shepherds could adore Him, and the Magi coming with their gifts - the Epiphany. 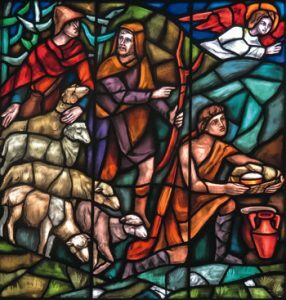 In the church the stable scene is in the middle, so the shepherds and magi face in to Jesus. Look to the crib and worship, as they did, this Christmas.